In last week’s post, it was explained that there is a difference between sight and vision. Having good eyesight means that the eye is doing its job well and is able to clearly see the world both near and far. This is what optometrists look for when children have their eyesight tested. Vision, on the other hand, depends on how the eyes function as directed by the brain and also how children use the information from the eyes. This means that they have to be able to correctly interpret the information reaching the brain from the eyes. The first category covers some of the visual abilities mentioned last week, such as fusing two images from each eye into a single, clear image (binocular fusion); being able to shift focus quickly between near and far images (accommodation); to be able to stablise the eyes so that they can locate a target and ‘fix’ that on the retina so that it is seen in sharp focus (fixation) and to be able to move the eyes along a sequence of numbers, letters or words (ocular motility or ‘tracking’). Direction in space: Being able to see the difference between letters that go up or down, left or write. For example, the difference between b and d.
Form perception: The ability to realise differences in shape, as for example, the shapes of letters. Visual-motor coordination: The ability to coordinate body movements with visual information. For example, hand writing, copying, catching balls. Visual imagery: The ability to picture an image in the mind’s eye. For example, to mentally picture a spelling word. Visual-verbal match: The ability to match what we hear with what we see. For example, forming a mental picture of what is described as we read. These perceptual abilities develop with age. Some children may not be ‘visually ready’ when they begin school and as a result, will ‘observe less, remember less, learn less, and in general be less efficient in what they do’ (From the book 20/20 is not enough, by Dr A.S. Seiderman and Dr S.E. Marcus). Some of these children will learn to read but others may struggle as a result of developmental or perceptual lags. They may become labelled as having learning difficulties. So if a child is struggling at school, don’t only think of having eyesight tested. While good eyesight is crucial, there are other, important aspects of vision to be considered. Integrated Learning Therapy (ILT) considers everything that may impact a child’s ability to thrive in school. Visit our website www.ilt.co.za to learn more about our approach. We list practitioners who may be able to help and we list courses that we offer. These courses, accredited with SACE and ETDP-SETA, offer CPTD points and credits towards further qualifications in Special Needs education. They can be studied over distance. You are welcome to write to us for further information at info@ilt.co.za. Happy New Year to all our educators! I’m sure that 2018 will bring new challenges but also moments of satisfaction and pleasure in your chosen career. Integrated Learning Therapy would like to help these happen more often than not, so we’re going to try to help you better understand the behaviours that you may observe in your learners. To begin with, what would your thoughts be if you were faced with a child in your class who simply cannot sit still. He is always squirming in his chair and seems to have little bodily contact with the chair! When he does occasionally sit on the seat, he almost immediately puts one leg under him. He then keeps shifting the leg as it begins to ‘fall asleep’ from the pressure of his body. He may also keep playing with his clothes. All his teachers complain of his constant movement. Yet, if he stretches out on the floor to listen to a story or watch a programme on television, he keeps still and quiet. What’s the problem here? Is he naughty? Is he bored with lessons? Is he showing signs of hyperactivity? What such movement can probably mean is that he can’t sit still because he is hypersensitive to touch, particularly in the area along his sciatic nerve (buttocks and legs). The fabric of his clothing rubbing against the chair and into the back of his leg (especially behind his knee) is ticklish. He may not even realise this since he has been trying to block that sensation and pay attention to the lesson for most of his life. He might be able to sit a little stiller on some days – maybe he is wearing softer clothes (not a starchy, stratchy new school uniform!) or tighter clothing. Integrated Learning Therapy aims at helping teachers, parents and other helping professionals with greater understanding of children’s learning and behaviour difficulties, and ways of helping. Our courses are listed on our website, www.ilt.co.za. They are all accredited with SACE and are offered both as correspondence (over distance) and attendance courses. Visit the website to learn more about us and perhaps join the hundreds of teachers who have benefitted and grown through studying with us. Don’t forget to Like and Share this post if you would like to receive more. 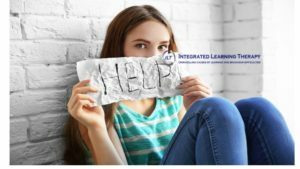 Adolescents with learning problems: Are they too old to help? Some teachers believe that older children or learners in High School who struggle with academics and the demands of school are too old for therapeutic interventions. They stop looking for signs that could indicate the underlying cause of the problem and instead revert to other ways of helping. Ways of organising their daily routine, courses in study skills and other remedial aids are offered instead. But is this the best way of helping? If the cause of the learning difficulties was not correctly identified and addressed during Primary School years, why is the older learner denied help or even further help once he reaches higher grades? Older learners and even adults carry with them unresolved neurodevelopmental issues that can make life more difficult for them. As an example, I remember clearly how, during one training session, a mature adult was found to have a retained primary reflex. Anyone who has studied Integrated Learning Therapy will be aware that we teach how the reflexes play a significant role in the development and subsequent functioning of the brain. This is the reason why we include reflex testing in our assessment of learners – no matter how old. The adult in question showed a strongly present ATNR (Asymmetrical Tonic Neck Reflex) – which means that movement of her head initiated overflow movement of her arms. On hearing this, she exclaimed that it explained why she had such trouble driving her car. She was forced to look straight ahead at the road because if she turned her head to look sideways, her arms would involuntarily turn the steering wheel in the same direction. A dangerous thing to do when driving! A few months of daily repetition of an activity helped her to resolve this problem. The fact is that we’re never too old to restore more efficient functioning of the brain. For hundreds of years this idea was inconceivable because mainstream medicine and associated fields of study believed that brain anatomy was fixed after a certain age. It was commonly believed that after childhood, the brain only changed when it began to age and decline in functioning. If brain cells failed to develop properly in the first place, or were destroyed due to illness or injury, they could not be replaced. Today we know differently. We all accept that after severe brain trauma, such as a stroke, the patient has a chance of recovering part or even full functioning. This is because the brain finds a new way to function if part is damaged; often it builds new neural pathways around the site of injury. So the brain is capable of changing – and it can do so across the lifespan. This is due to what is called ‘neuroplasticity’. Neuro stands for ‘neuron’, the nerve cells making up the brain and nervous system, and plastic for ‘changeable, modifiable, malleable.’ Even eighty-year olds can use neuroplasticity to sharpen their memories and regain earlier mental abilities. With this knowledge, it is clear that we might be neglecting our older students if we fail to consider what might be interfering with their brain’s ability to cope with schoolwork. By evaluating the way their brains developed, assessing vital brain systems that support learning and considering all other factors that could have negatively affected brain structure and function (and perhaps still are), learners of all ages can be helped. 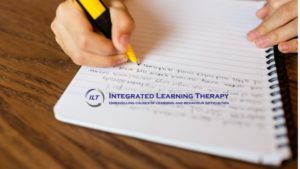 For more information about Integrated Learning Therapy and our neurodevelopmental approach, visit our website www.ilt.co.za. We offer training courses to parents, teachers and helping professionals and details of those are on the website. In addition, you can contact us at info@ilt.co.za. If you would like to receive more articles of this nature, please Like our Facebook page and share with all your friends. 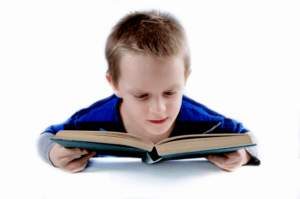 Dyslexia – or inner ear problem? Dyslexia is a widespread diagnosis amongst learners who struggle with reading, spelling and/or or writing. Teachers and parents are often surprised when Integrated Learning Therapy (ILT) practitioners take little notice of the diagnosis and instead turn their attention to the individual’s inner ear functioning. The part of the inner-ear so often found responsible for the problems associated with dyslexia is called the vestibular system. This little system has enormous implications for our learning and functioning – something which is only truly understood by those of us who have suffered from health conditions affecting the vestibular. To their surprise, irregularities brought about by inner-ear infections and similar prevent them from carrying out their usual daily routines altogether. The vestibular guides our eyes, hands, feet and various mental and physical functions in time and space. We need this for our eyes to fixate and sequentially track letters, words and sentences; to be able to write on the horizontal in a neat fashion; to pronounce words accurately as we speak. The vestibular fine-tunes all motor responses that make our movements coordinated and balanced. If dysfunctional, we show delayed speech; impaired ability to walk; difficulty tying shoelaces, buttoning buttons; holding and using pens and pencils. We may also take long to toilet train and show symptoms such as bed-wetting, soiling and more. This find-tuning function also makes it difficult to concentrate and remember what is seen and heard. You could compare this to the tuning function on a TV. Imagine how difficult to watch a programme if the picture and sound are fuzzy, indistinct and blurred out. The vestibular also has a compass function. It allows us to be aware of spatial relationships such as right and left, up and down, front and back, east and west and north and south. If the compass system isn’t working efficiently, the brain has to compensate by finding methods such as wearing a watch on one hand, or remembering which hand is which by the presence of a scar, etc. This compass system directs all body functions: sensory, motor, speech, thought, even biophysical patterns. It isn’t always true that all functions will be dysfunctional. One sequence may be misdirected or scrambled while another remains unaffected. The vestibular acts as a timing mechanism. If it isn’t functioning as it should, a child may have difficulty in learning to tell time and sensing time. Often, so-called dyslexic learners do not understand the difference in meaning of before and after and can’t sense whether a minute, an hour or several hours have gone by. Impaired functioning of this very crucial sensory-motor system explains why such learners struggle to learn to read, write neatly and with clear meaning, reverse letters and words and more. Take note that the vestibular system is located in the inner ear. This part of the ear is prone to damage through various avenues, including but not limited to ear infections. For this reason, ILT practitioners always ask about health history, because just one severe ear infection might underlie later problems in school. So before treatment begins to help such learners overcome the symptoms they are displaying, it makes perfect sense to ensure that their vestibular systems are helped to restore functioning. A perfect example of why looking for the underlying cause of symptoms is often a quicker and more efficient way of helping those with learning difficulties. Visit our website at www.ilt.co.za to learn more about our approach. We do list practitioners who are ready to help you or families that you want to refer. We also offer training courses to help teachers improve your understanding of brain development and function and how to recognise and help signs of difficulties you see in your learners. The courses are accredited with SACE for CPTD points and with ETDP-SETA for credits towards further qualifications. Please remember to Like and Share our Facebook page to receive more articles. Have you tried this method of teaching spelling? Sometimes I’m surprised at how children try to learn their spelling. They show problems with writing, spelling and often other academic areas but also demonstrate inefficient strategies for learning. Recently, a mom and her daughter showed me that when spelling had to be learned, the little girl had to write out the words several times – over and over again. Does this work? Not always – and it’s so tedious! Mindless repetition (known as ‘rote learning’) does little to permanently anchor anything in long-term memory. What is needed is active learning. A good example of active learning applied to spelling is described by Don Blakerby in his interesting book ‘Rediscover the joys of learning.’ Here is his explanation of why this is an effective method and a summary of the strategy he recommends (p.2-28). Have the learner think about how to divide the word into syllables. These don’t need to be the correct syllables because it is more important for the child to think how the word can be composed of several syllables. For example, she may want to divide the word ‘tonight’ into to – ni – ght. Then she looks at the word to try to remember what it looks like. If the word is long, she might want to make a picture of each syllable and then put all the pictures together. Ask her if she can see the word written on paper or a white/chalk board in her mind. If she says she can (as young children usually do because they have strong visual learning abilities) then you know you’re on the right track. When using this method, I find that it helps to have the child analyse the word and identify the possible problem syllables. In the above example, she might well realise that the ‘ght’ ending might cause problems. This is part of the active learning as she is engaging with the learning material. Now, from her mental picture of the word, she should close her eyes and spell the words BACKWARDS (from right to left) out loud to you. Check that the spelling is correct and ask her to do this several times. Once she can spell it backwards, have her sound the word out while looking at the mental picture of the word. This ‘hooks’ the sound of the word to the internal image of the word. Then ask her to spell it from left to right off the mental picture she has. At this stage, she can write it down – to practice the way she will have to spell it out for the spelling test. Go to the next spelling word and repeat these steps. Once all the spelling words have been learned in this way, practice by choosing words off the list and asking the learner to spell them. After practicing a word six to eight times, she should be able to just say the word, see the mental picture and spell it correctly without having to spell it backwards. If this is done over a few days, the words should be saved in long-term memory. You might want to practice this new strategy by beginning with small and more familiar words. Gradually increase the size and complexity of the words on their spelling list. Remember that the reason you have the learner spell the word backwards is to assure yourself and the learner that she has a clear mental picture of the word. They can’t smoothly spell the word backwards unless they can see it clearly. As the learner develops her ability to visualise the words, she can drop the process of spelling it backwards because she will learn to know when she has a good picture. Integrated Learning Therapy practitioners try to uncover the causes of learning difficulties. In some cases, however, we enjoy empowering learners with proven, practical learning skills and strategies to help them succeed at school. If you would like to receive more posts like this, remember to LIKE and SHARE our Integrated Learning Therapy facebook page. Visit our website www.ilt.co.za to read more about our approach, the accredited attendance and correspondence courses we offer to teachers (and parents) and to find a practitioner near to you and learners who may benefit from their help. A recent posting on Facebook reported that education departments in some countries are reconsidering the need to teach cursive (joined up letters) to learners. It seems that there is an argument for abandoning cursive writing because of the decreasing need to write at all. The use of computers, i-pads, cell phones and other devices mean that we spend far more time pressing letter keys than we do with pen and paper. So, superficially, it does make sense for learners to spend classroom time on keyboard skills once they have been taught printed letters, rather than mastering good handwriting. There are, however, some pros and cons of handwriting that need to be considered before any decision is made. Many learners may benefit from not having to depend on handwriting for communication of knowledge and skills. Those with handwriting difficulties try to avoid any written task and some even become disruptive when they have to write something down. Indeed, Linda Silverman, a leading figure in the field of gifted child education, believes that handwriting seems to play a much more significant role in underdevelopment than has often been realized. One of the common characteristics of underachievement is an inability to produce written work of a suitable quality to match the learner’s demonstrated (usually verbal) potential. This leads to consequences such as inattention, avoidance, low motivation, low self-esteem, a negative attitude towards school in general and behavioural problems. As a result of this realization, it is fairly normal these days for schools to allow a scribe to help a child with writing difficulties, and even laptop computers are allowed in classrooms. But there is another side to this story. Why do some children struggle with handwriting at all? The answer lies in neurodevelopment, which is why @integrated learning therapy practitioners take an active interest in this subject. When we learn to write, we rely on many developed and developing skills. Our posture, hand grip and movement patterns are all involved and orchestrated by the motor cortex in the cerebral hemispheres concerned with voluntary movements. Furthermore, good fine motor skill, which is needed for neat handwriting, stems from well-developed sensory and motor foundations which result in muscle and joint stability, especially in the neck, trunk and arms. Accurate tactile discrimination and hand and finger strength help to control writing instruments. Motor planning, the coordination of the two sides of the body and the development of hand and eye dominance are also involved in laying down pre-writing skills. While we are learning the motor skills needed for handwriting, the area of the brain called the cerebellum is involved as well. This brain area memorises all the complex muscular actions involved in a particular skilled movement so that it can take over control of movements, leaving the higher levels of the brain free to do the actual thinking and learning. If the cerebellum is damaged or underdeveloped then skilled movements are not easy to execute. Coordination problems are typical signs of cerebellar irregularities so learners who cannot coordinate the movements needed for fluid, rapid writing might be suffering from inefficient cerebellar functioning. In other words, problems with handwriting can be important signals that neurodevelopment has not progressed as it should have. Rather than doing away with handwriting lessons it might be wiser to consider the underlying reasons for problems in this area. Once the cerebellum has mastered the print form of letters, it has to learn an entirely new set of motor programmes when cursive writing is introduced. Some schools in certain countries teach cursive from the beginning, but most prefer starting with print, because all children’s stories, reading schemes and other forms of written communication use printed script. There are some experts who advocate the use of cursive from as early on as possible. This is because cursive has a major advantage in the fact that each word or syllable consists of one continuous line where all the elements flow together. This means that a young learner experiences more readily the total form or shape of a given word as he or she processes the kinaesthetic feedback from the writing movements. In this way, handwriting supports spelling which in turn contributes to literacy development. Cursive writing facilitates speed of writing which, until things change dramatically in schools and universities, is a crucial factor of academic success. Slow writers struggle with taking down notes in class and managing to impart knowledge during written exams. In addition, it is known that insight and memory are enhanced by the use of multiple brain areas. Hence the encouragement of using notes and summaries as a good study skill. When we engage our hands to work with the brain in organising and understanding new materials, we naturally find it easier to comprehend and then recall content. In the remedial field, it has been known for decades that the teaching of cursive writing benefitted learners with difficulties in learning and handwriting. 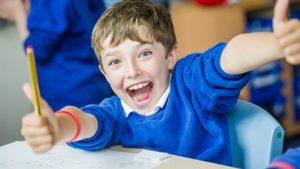 Lack of good teaching can contribute to underachievement in schools but there seems to be some evidence that neglecting the teaching of handwriting can play a role too. Will keyboards eradicate the problems of many underachievers or will they be somehow further disadvantaged by foregoing the benefits offered by learning handwriting – especially cursive writing? One can only hope that further research will shed more light on this puzzling question. Montgomery, D. 2007. Spelling, handwriting and dyslexia: Overcoming barriers to learning. London: Routledge.